Enjoy the warm sunshine today, there's a cold front on the way. Police want to speak to this woman after cash was stolen from a pensioner's purse. The 88-year-old had been out with her daughter and granddaughter in Nero's in Chesterfield and only realised the money was gone when she went to buy something at another shop. It happened on 26 February but police have only just released this CCTV image. The defendant said he saw a man pointing a gun at him, causing him to panic and drive away blindly. M1 Nottinghamshire southbound severe disruption, from J27 for A608 Mansfield Road Hucknall to J26 for A610 Nottingham. M1 Nottinghamshire - One lane closed and slow traffic on M1 southbound from J27, A608 (Hucknall) to J26, A610 (Nottingham), because of a vehicle fire. Eve Leatherland's father has been fighting for the right to bury the toddler, who was murdered in 2017. 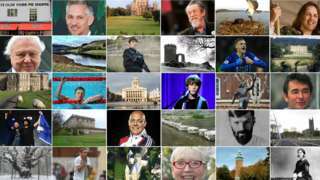 Staff are being told to either cover fees of about £44 upfront or have them deducted from wages. A1(M) Nottinghamshire northbound severe disruption, from J34 for A1 Blyth to J35 for J2 M18. A1(M) Nottinghamshire - One lane closed on A1(M) Doncaster By Pass northbound from J34, A1 (Blyth) to J35 J2 M18, because of a lorry having a tyre changed. Traffic is coping well. 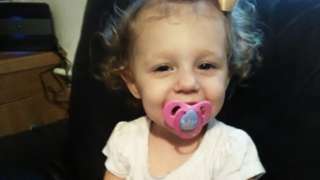 A man has been found guilty of murdering the 22-month-old daughter of his former partner. Today's live updates have now finished. We'll be back with more news, sport, travel and weather from 08:00 on Friday. It will stay clear and dry this evening. Emergency services are still at the scene of a fire yesterday where a woman in her 50s died. The fire started in Saffron Lane, Leicester, shortly before 17:00. 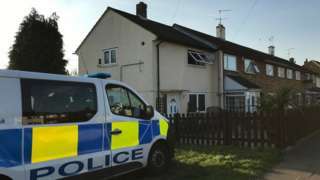 Leicestershire Fire Service said the woman was pronounced dead at the scene and an investigation into the cause is being carried out. The woman was pronounced dead at the scene of the fire in Saffron Lane, Leicester. A three-year-old boy with cerebral palsy has had an operation to remove his tonsils cancelled 10 times. Bleu Chapple's family say the tonsillectomy needs to happen before he can have spinal surgery that will greatly increase his mobility. 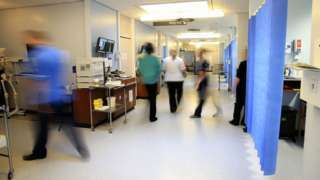 University Hospitals of Leicester NHS Trust has apologised, saying cancelling operations was a "last resort". A spokesman said "communication with the family could have been better". Bleu's operation at Leicester Royal Infirmary has been scheduled for next week, the trust said. 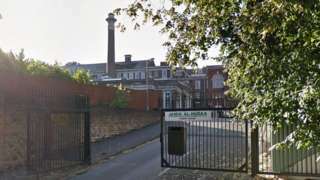 A school for Muslim girls in Nottingham has been told it must improve or possibly face closure. The Jamia Al-Huuda School, on Berkeley Avenue in Mapperley Park, was inspected by Ofsted in December after complaints over "safeguarding" concerns. Inspectors found the school didn't keep track of what happened to pupils who missed lessons or left the school and said there were failings in promoting the health and wellbeing of pupils or "preparing them for British Society" - giving it an inadequate rating. However, the report also said pupils were well behaved and teaching standards were good. A letter from the Department for Education said the school must enforce a plan of action to improve or risk being removed from the Register of Independent Schools or have its "operations restricted". The department confirmed it had received the plan from the school and was in the process of reviewing it. The independent boarding and day school opened in 1996 and currently teaches 184 girls aged between 11 and 19. It has come under fire before for issues with safeguarding and teaching. The school said it accepts the latest report but principal Raza Ul Haq felt it did not do enough to balance the positives that were also noted. A statement said the school had recruited more housekeeping staff since the inspection and steps had been taken to address the records issue. Jamia al-Hudaa Residential College has been told it needs to address the issues in an action plan. M1 Derbyshire southbound severe disruption, at J28 for A38 Alfreton. M1 Derbyshire - M1 exit slip road partially blocked southbound at J28, A38 (Alfreton), because of a broken down vehicle. Police are appealing for witnesses after a 14-year-old boy was robbed at a bus stop. 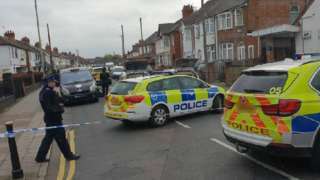 The boy was waiting for a bus in Boyer Street, Derby, at around 18:00 on 22 March, when a man walked up and grabbed him before taking his iPhone and running off down an alley. He has been described as white, with stubble, of stocky build and about 5ft 4ins. He was wearing a dark blue jacket, and white shirt, and had a black, woollen bowler-style hat with a brim all the way around. Andy Abrahams has been selected as Labour's mayoral candidate for Mansfield. Mr Abrahams, who has lived and worked in Mansfield for most of his life, said: "I am so honoured and excited. I can’t wait to get stuck in and show Mansfield’s residents how a Labour-run council will be honest, fair, hard-working and look after their needs properly." 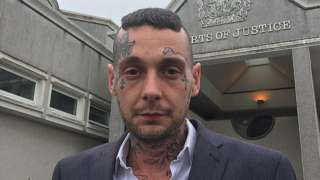 Sean McCallum was due to stand as mayoral candidate but was suspended from the party earlier this month,pending an investigation into alleged anti-Semitism. The previous candidate, Paul Bradshaw, stepped down citing "irreconcilable differences" with the area's Labour candidate for Parliament, Sonya Ward. Police are hoping this man can help with their inquiries after two charity boxes were stolen from a newsagents in Clay Cross. They were stolen from Pilsey News, Bridge Street, at around 14:30 on 13 March.